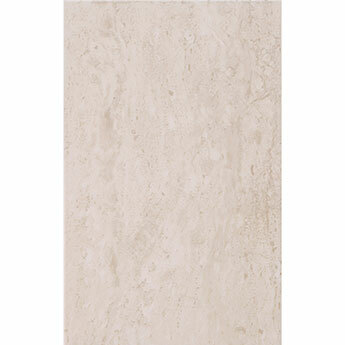 Add natural character to wall design with these Travertine effect ceramic tiles. These tiles have a dark beige colour and a pattern which perfectly encapsulates the charm and style of natural Travertine. This look has been enhanced further by a satin finish. These tiles have a neutral dark beige colour which means they can be incorporated within a vast array of interior layouts. In addition to contemporary bathroom and kitchen designs they can also be chosen for feature wall designs in living rooms. These tiles are acquired for a vast array of renovations. Not only are they selected for home designs but are also popular for shops and restaurants. If you are interested in using these tiles as part of your next project then it is quick and easy to order a sample from Tilesporcelain.